Working in lower Manhattan on September 11th, 2001, Donna Childs became keenly aware of the need for small businesses to develop disaster contingency plans and grateful that her own business had implemented such plans and would remain financially sound. 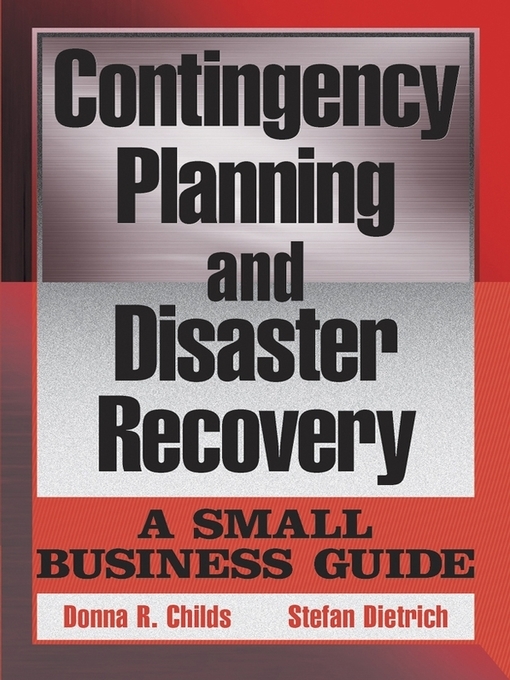 Now, with the assistance of IT consultant Stefan Dietrich, she draws upon her unique experience to present proven guidelines for small and midsize businesses to effectively prepare for catastrophes in Contingency Planning and Disaster Recovery: A Small Business Guide. Successful planning not only can limit the damage of an unforeseen disaster but also can minimize daily mishaps-such as the mistaken deletion of files-and increase a business's overall efficiency. Contingency Planning and Disaster Recovery is the only contingency guide that small business owners need to ensure their company's continued success.